Arletha Sherman, 64 of Jacksonville, Florida, decorated her school bus this week in honor of Anna Hopson&apos;s fifth birthday. "She&apos;s touched my heart," Sherman told "Good Morning America" of Anna. "She never complains. She has the most beautiful smile and it inspired me to do something for her." 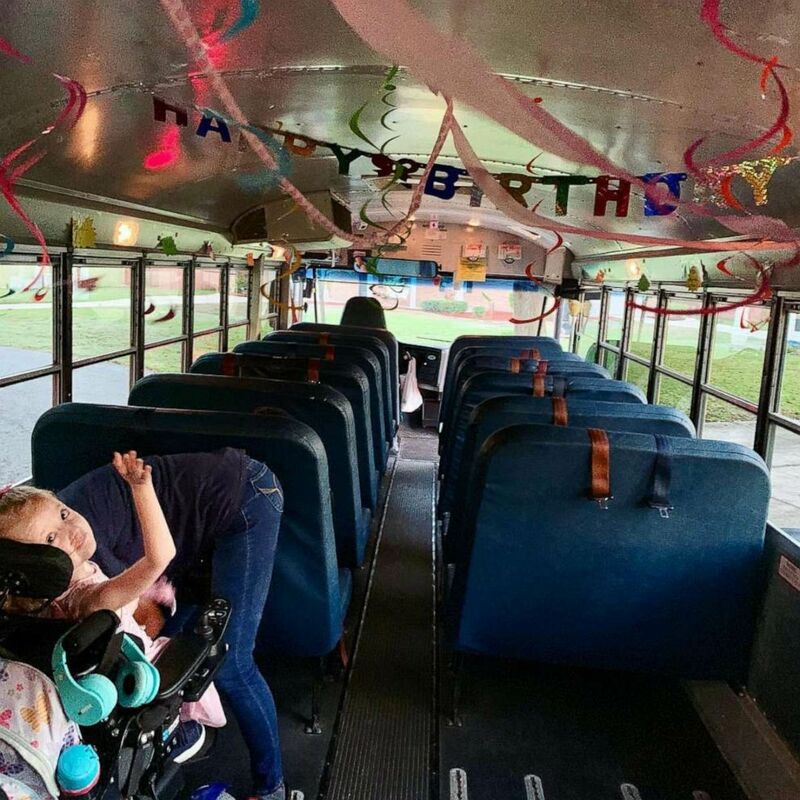 (Courtesy Kathleen Hopson) Anna Hopson, 5, a student at Sabal Palm Elementary School in Jacksonville, Fla., celebrated her birthday with her bus driver, Arletha Sherman, on April 10, 2019. Mom Kathleen Hopson told "GMA" that Anna, who has been using a wheelchair for the last six months, rides Sherman&apos;s wheelchair-accessible bus. 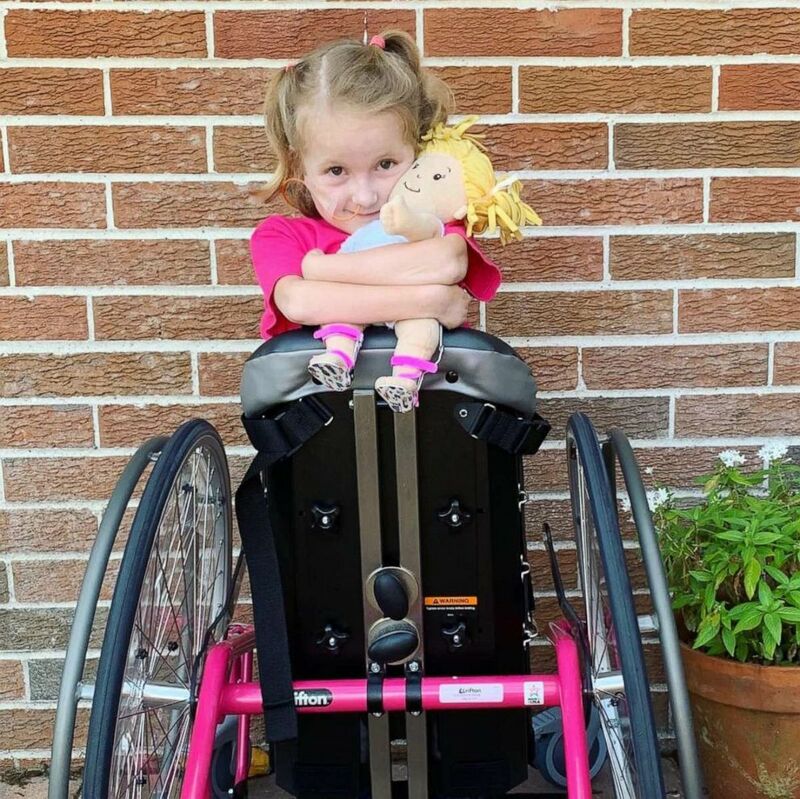 (Courtesy Kathleen Hopson) Anna Hopson, 5, has a progressive neuromuscular disorder called Charcot-Marie-Tooth disease. "She looked around and asked, &apos;Is this all for me?&apos;" Hopson recalled. "Anna was thrilled and surprised." Sherman said some of the children on the bus sang "Happy Birthday" to Anna. Local news stations reported on the story after Anna&apos;s aunt shared photos of the surprise on social media, Sherman said, adding that Anna is going to serve as flower girl in her July 27 wedding. Sherman hopes Anna&apos;s story encourages other bus drivers to spread kindness to children.